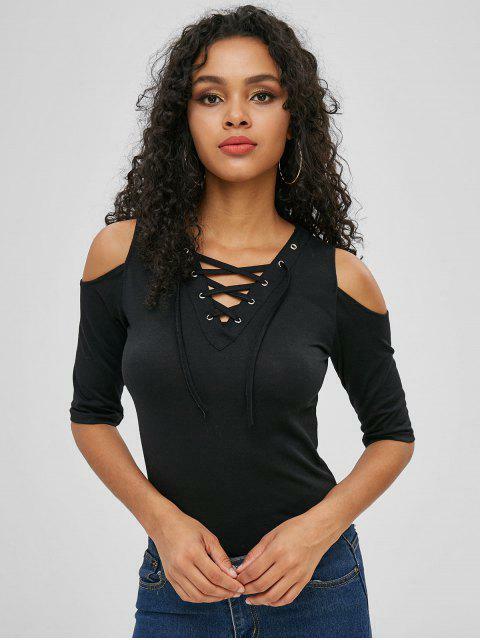 [28% OFF] 2019 Lace Up Cold Shoulder Top In BLACK | ZAFUL .. 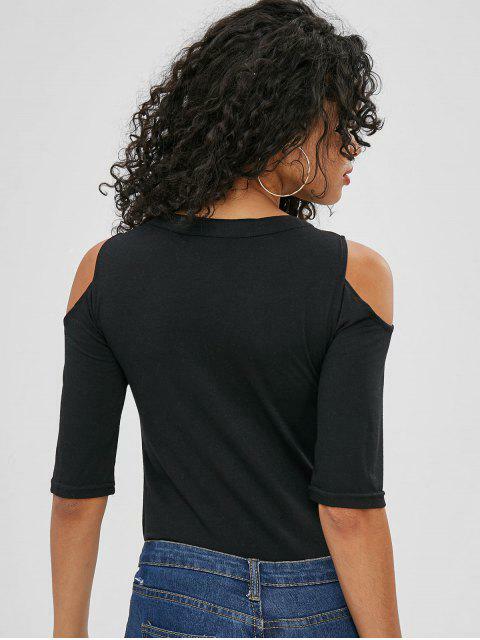 The cold-shoulder design adds a flirty touch to this solid blouse. The on-trend lace-up design accents the classic v-collarline for a polished charming look. The slimming silhouette makes it perfectly tucked into your favorite high-rise jeans or shorts to complete the look.